Consolidated Can is by far the most versatile packaging company in the industry today providing not only great customer service but a knowledge in the production and distribution of metal, plastic, fiber, and glass containers like no other company. Our on-site production facility coupled with our great off-site resources makes Consolidated Can the first place you should look for all your packaging needs. If we don't have it we will do our best to refer you to another source that may. Consolidated Can has one of the broadest selections of products in the industry. 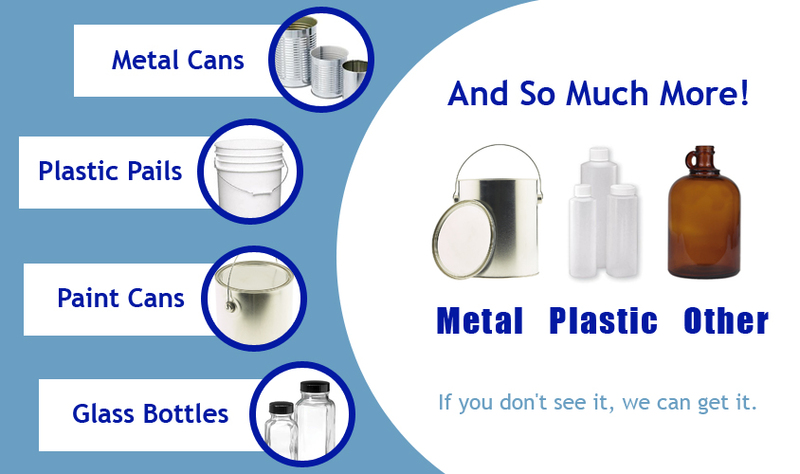 Specializing in the manufacturing of metal (tin, aluminum, brass, copper, silver) containers and metal stamping, Consolidated Can also carries a full line of standard cans, paint cans, buckets, and drums. A full line of plastic and glass containers round out our product line, making Consolidated Can Co. the first place you should look when you have a packaging need.